First, would you do something for me? One, I’d like you to think about a handful of touchpoint opportunities (let’s say 5 – 10) that apply to your business, industry or profession. 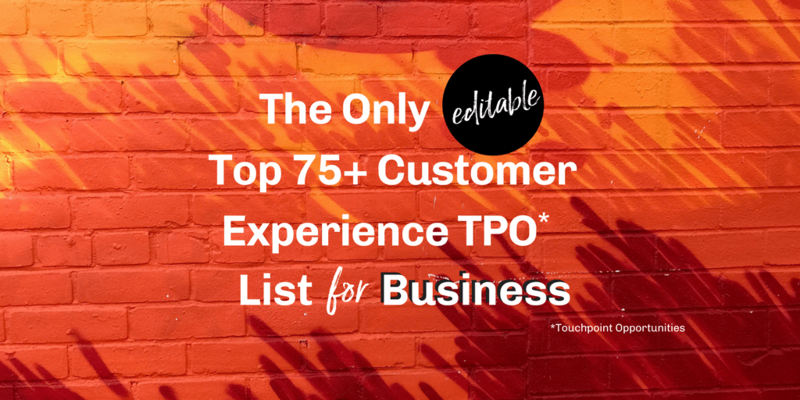 How many of those touchpoints are so obvious that anyone (‘anyone’ including your competition) would probably have them on their list as well. It’s not that these touchpoints aren’t important. It’s just that I think we can agree that these touchpoint opportunities are hiding in plain sight. All those obvious touchpoints are still great opportunities to create innovative customer touchpoint experiences (or Unexpected EncountersTM) that will differentiate you from your competition and remind your ideal customers why you. And using our Five ‘S’ Solution to create those experiences at any touchpoint opportunity in your customer journey is a smart step towards driving more customers, more revenue and more growth in your business. A business card for a bicycle repair shop that doubles as a bike repair tool. 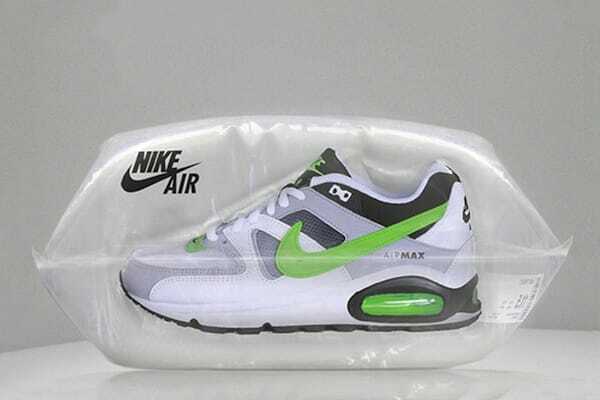 The packaging for Nike Airs that is … well… air. These are all examples of great Unexpected EncountersTM created at perfectly predictable touchpoint opportunities. 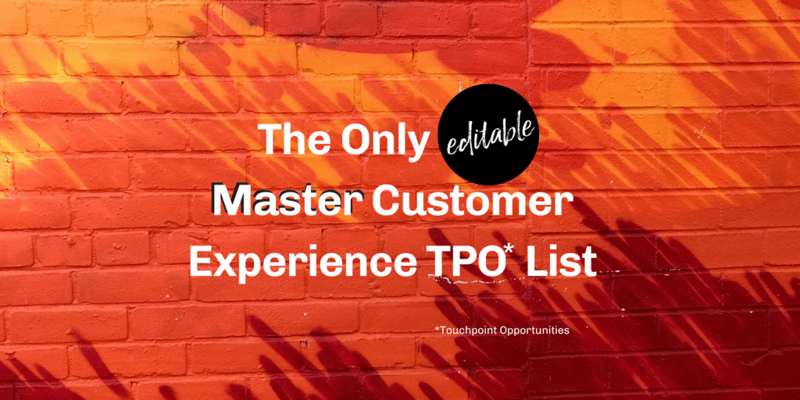 But what the following Unexpected Encounters have in common is the touchpoint opportunities they have chosen are already completely unexpected and outrageously out of the blue. 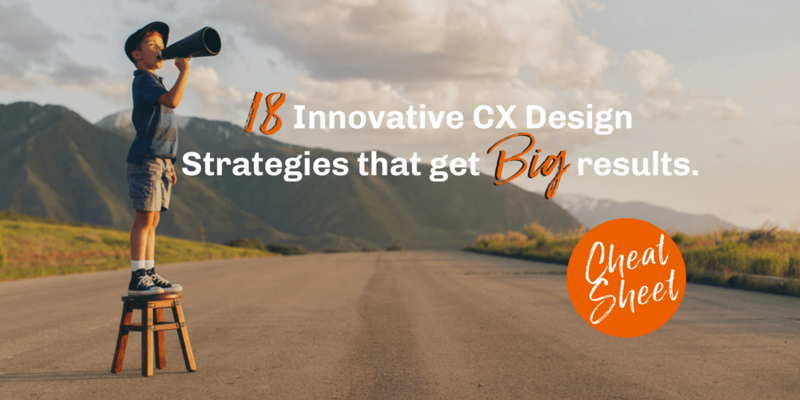 10 Beyond the Obvious Touchpoint Opportunities and 25 Outrageously courageous innovative customer touchpoint experiences. Now that’s what I call a healthy dose of innovation inspiration. #1 Bounty created some pretty big messes on New York’s 7th Avenue to show how their paper towel makes small work of big spills. 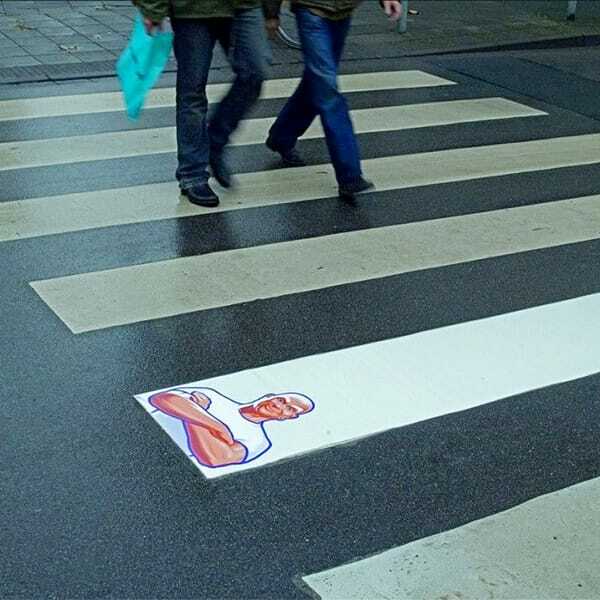 #3 And finally, Mr. Clean took a take on the floor and whitened just one stripe of a crosswalk to demonstrate how clean their product could get just about anything. So look down. Look way down. How could you use the floor or the ground to create a Five ‘S’ Unexpected EncountersTM for your customers? From toilet paper to stall dividers; from paper-towel dispensers to the actual toilet itself, bathrooms are literally overflowing with Touchpoint Opportunities. #4 Want to give your customers something to do while they’re in the loo? 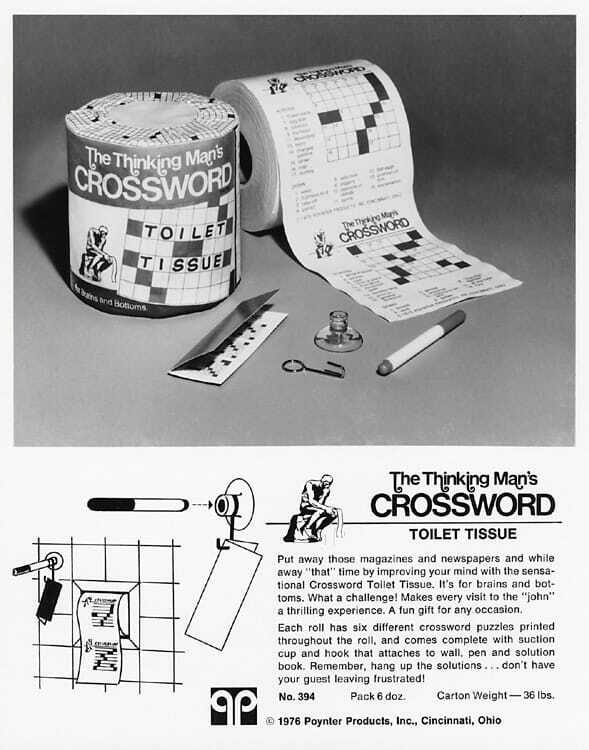 Branded crossword puzzle toilet paper may be just what you’re looking for. #5 Want to find a way to get more traction from your tweets? 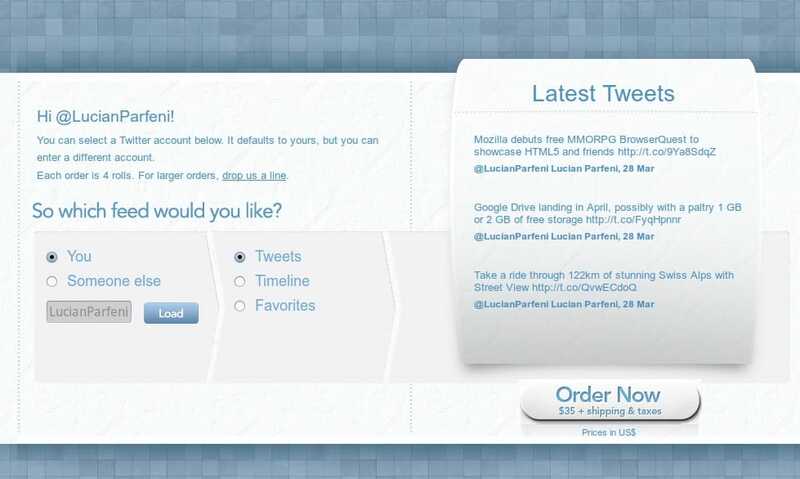 You can put your tweets on your toilet paper and give a whole new meaning to the word “re-tweet”. #6 In an outrageously courageous move, Canac Hardware stores set up wood fencing between urinals in a men’s bathroom with a sign that read “For more privacy from your neighbours.” Now that’s going where your target market hangs out! 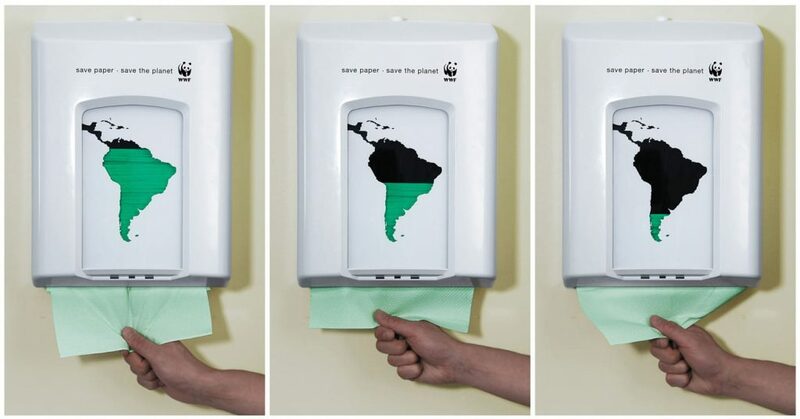 #7 World Wildlife Foundation designed unique paper-towel dispensers with a see-through replica of a green continent on the front. Each time a paper-towel was pulled out, a little bit more of the green disappeared, reminding us of the impact that wasteful behaviours have on the planet. 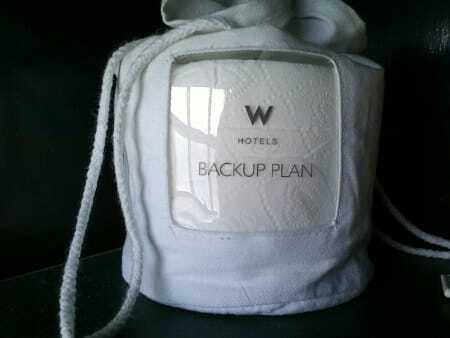 #8 And proving once again that we never really grow tired of bathroom humour, the extra roll of toilet paper in the washrooms of the W Hotels has a label with the simple phrase: The Backup Plan. What could you do in the loo for your customers? What Unexpected EncountersTM could you create in one of the places where people might least expect it? Up and down we go and never do we give a second thought to the incredible potential of stairs as a touchpoint opportunity that goes beyond the obvious. 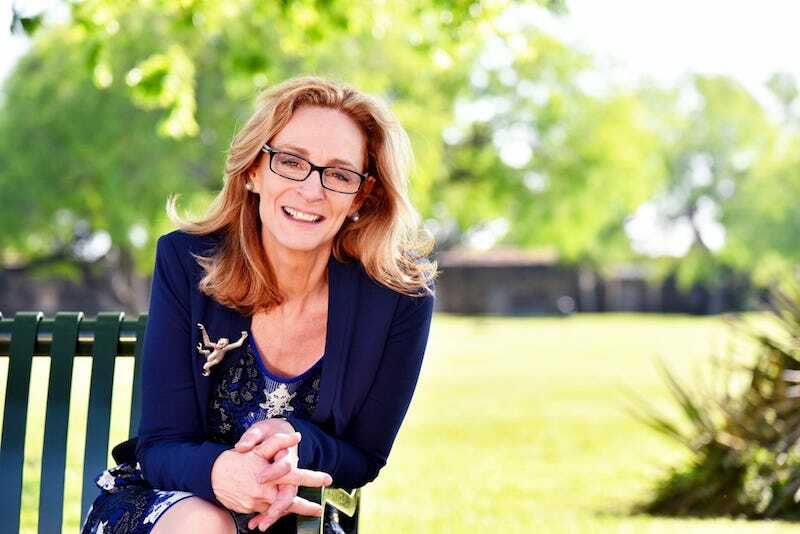 However, some innovative organizations have stepped up to the challenge. 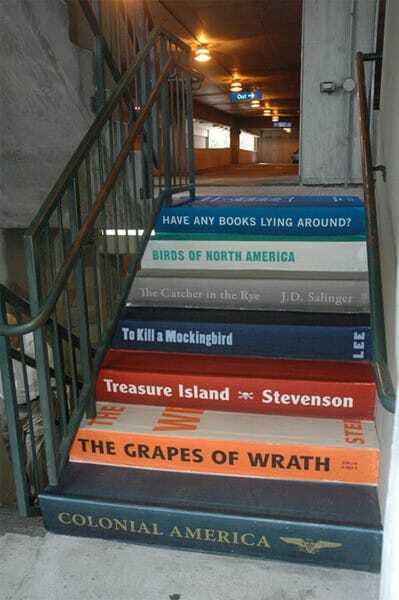 #9 A charity book drive in Greenville, SC turned a flight of stairs into a bookcase as part of a book and fundraising drive. In the first year, over 100,000 books were donated and over $120,000 in revenue was generated. 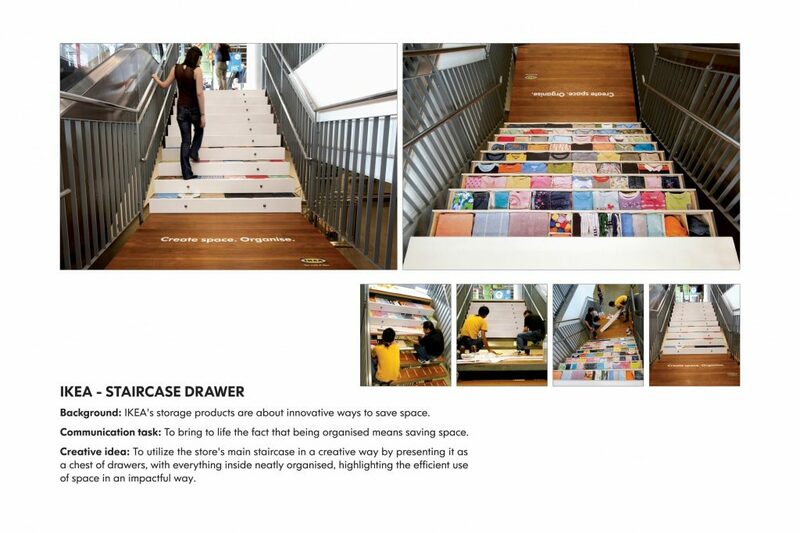 #10 To show customers how being organized can save space, one Ikea store turned its main staircase into a chest of drawers, with everything neatly organized inside. 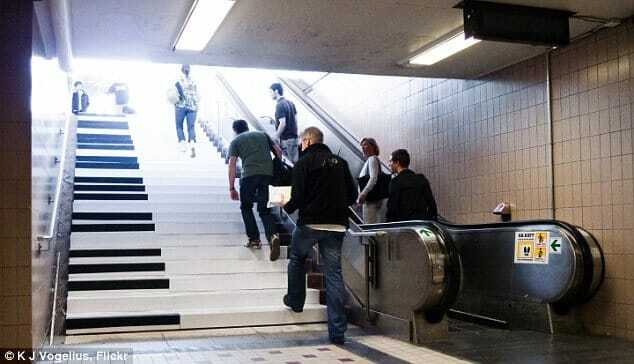 #11 And, of course, there is the now famous Piano Stairs experience by Volkswagon where a stairway in a subway station was transformed into a working piano – an Unexpected EncountersTM that resulted in 66% more people taking the stairs. 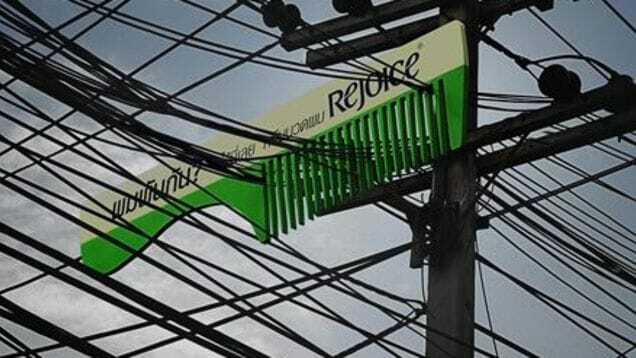 There are many beyond the obvious Touchpoint Opportunities lurking in plain sight. The trick is to stop seeing them for what they are and to start seeing them for what they could be. #13 Washing machines in the local laundromat may just look like washing machines to you and me but Pepto Bismol saw an opportunity to turn the see-through machine door into a perfect picture of an upset stomach. 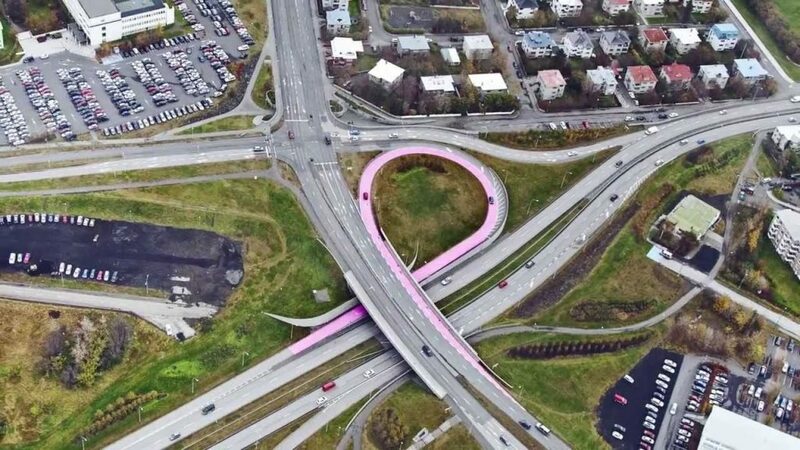 #14 Someone took a good look at one of Iceland’s highways and saw the opportunity to transform the loop into the largest pink ribbon in the world for Iceland’s Cancer Awareness Month. 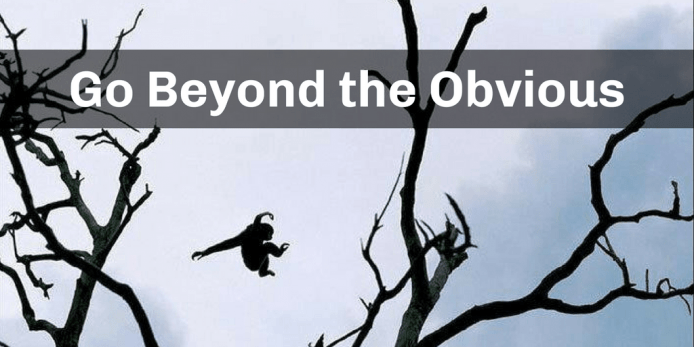 What beyond the obvious touchpoint opportunities are hiding in plain sight in your surroundings, just waiting for you to see them differently? Receipts are commonplace in business but how many businesses are smart enough to turn those receipts into something that creates an innovative experience for their customers? 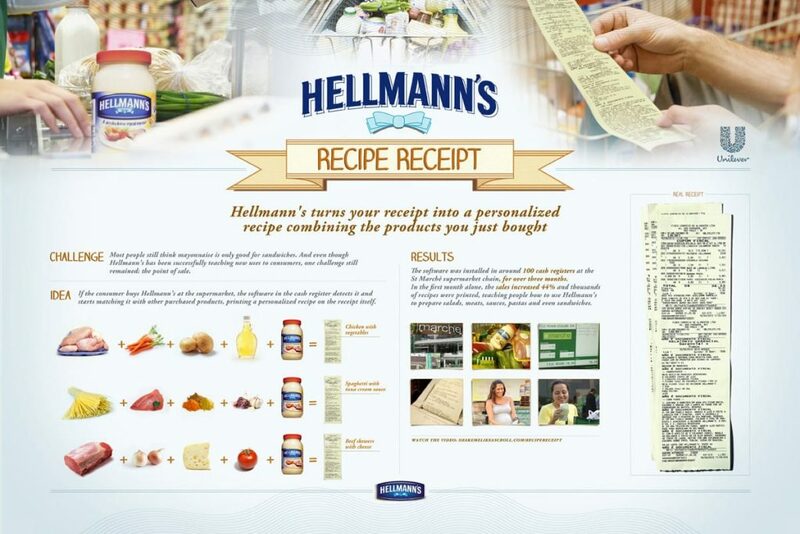 #15 Look no further than Hellman’s Mayonnaise who turned grocery store receipts into personalized recipe cards that called for the actual ingredients found in that customer’s grocery cart – with a little added Hellman’s of course. 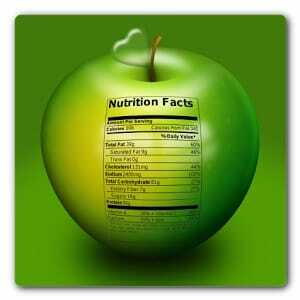 #16 Or what if when you paid for your groceries, your receipt contained the nutritional information for the contents of your cart? That’s the big idea behind ValueMe, an app that would tell food shoppers if the foods in their cart are lacking in essential nutrients. 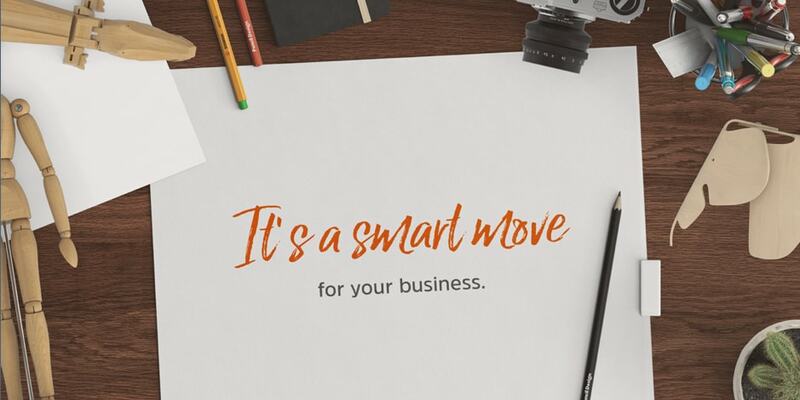 “With an open rate of 70.90%, compared to the average 17.19% for regular email marketing campaigns…” email receipts are a Beyond the Obvious, Unexpected Encounter touchpoint opportunity just waiting for smart businesses to turn the predictable into the unexpected. What added value do your receipts or invoices provide for your customers? Although I’m not sure that many businesses would think of using garbage as part of their brand experience, two well-known global brands did just that. 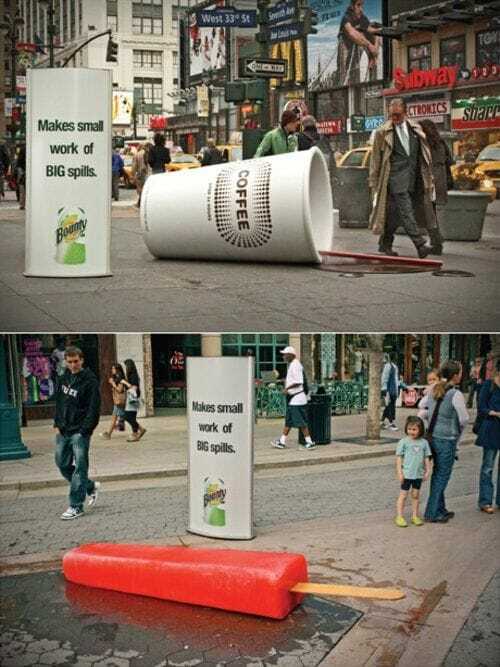 #17 As part of its Fun Theory campaign, Volkswagen created special garbage cans that made funny sounds when anyone dropped in some garbage. In fact, the experience was so much fun, that 43% more garbage ended up in these innovative garbage cans as opposed to the regular cans. 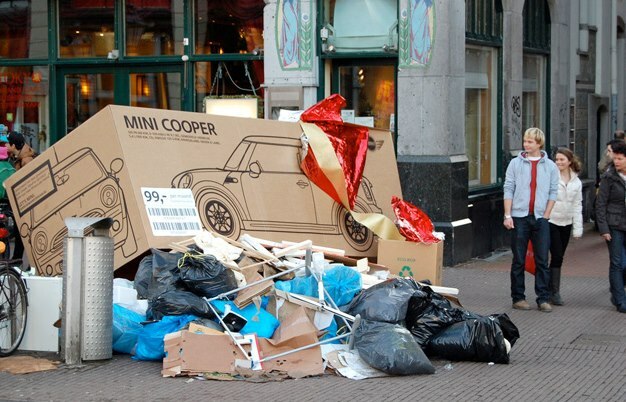 #18 And in Amsterdam on the 26th of December, Mini Cooper deposited oversize Mini Cooper boxes on holiday recycling piles throughout the city. With bits of wrapping paper still attached to the boxes, startled passers-by wondered if some lucky person had found a car under their Christmas tree. You know what they say. 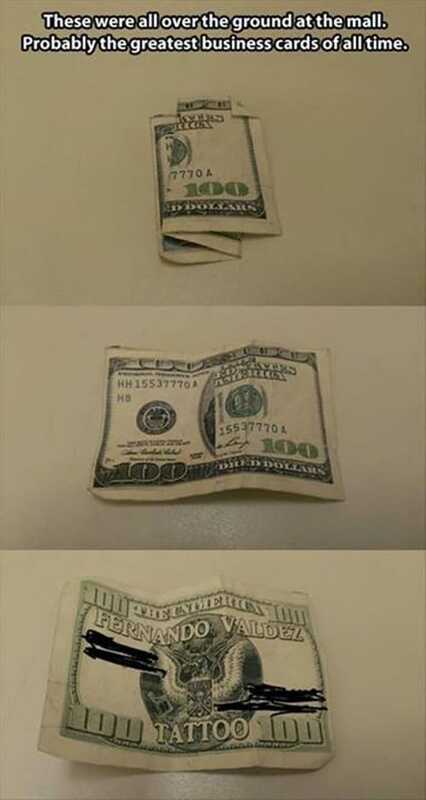 One man’s trash is another man’s treasure. Do you have garbage that you could turn into added value for your customers? 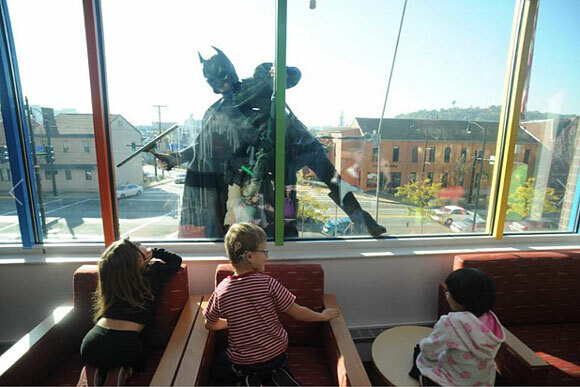 #19 Proving that sometimes creating an innovative touchpoint experience is just the right thing to do, young patients at the Children’s Hospital of Pittsburgh woke up one morning to find actual superheroes cleaning their windows. The idea got so much publicity – and gave so much joy to the children – that in England, window washers at Evelina Children’s Hospital now have a clause in their contract that requires them to dress up like super heroes while washing the windows. Window washers? Super heroes? How could you turn your organization’s good deeds into a heroic customer experience? 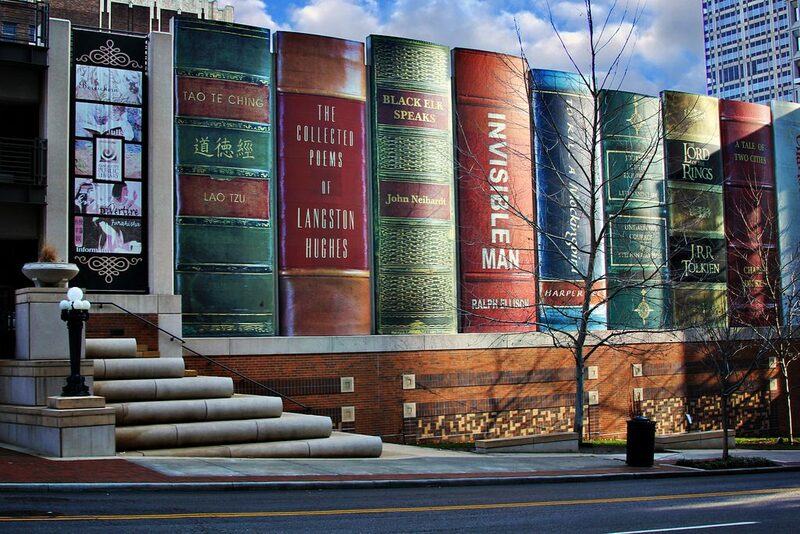 #20 The parking garage for the Kansas City library looks like a giant bookshelf. 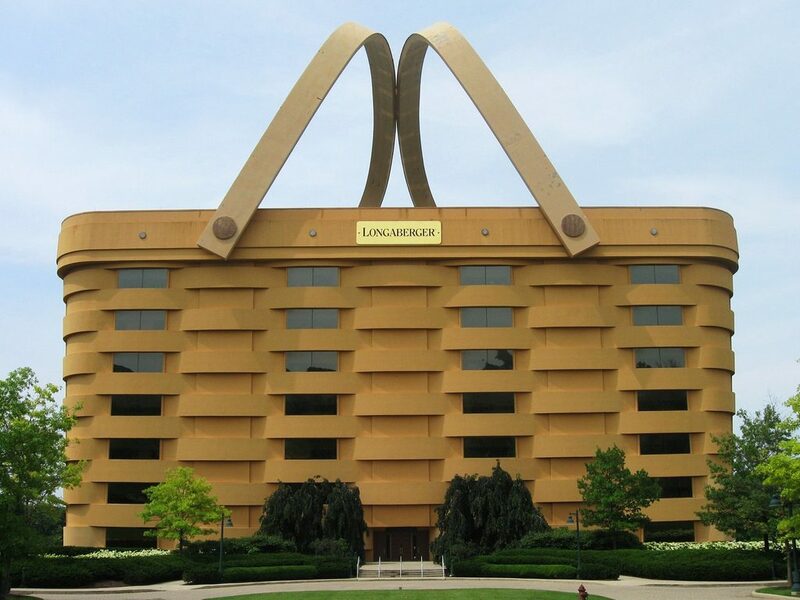 #21 The head office of the Longaberger Basket company is shaped like – you guessed it – a giant basket. 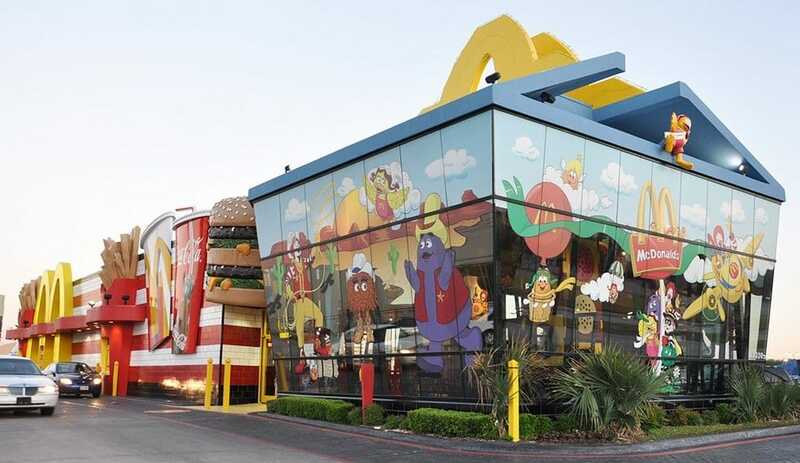 #22 And in Dallas, there’s a McDonald’s in the shape of a Happy Meal. How does your building help you build your brand! #23 Ever lost a sock to the dryer demons? Well, Betabrand socks has you covered because when you buy a pair of Betabrand socks, you are insured for up to two single sock replacements for one year after purchase. How could an innovative insurance program help you help your customers manage their losses? No. I’m not suggesting anything sinister. But body parts can come in handy as a touchpoint opportunity. #24 Working on a tight budget, Rethink Breast Cancer used bare breasts as billboards with such pithy phrases as Hang out for a good cause; Where cleavage meets charity and my personal favourite – Bras aren’t the only support my breasts need. 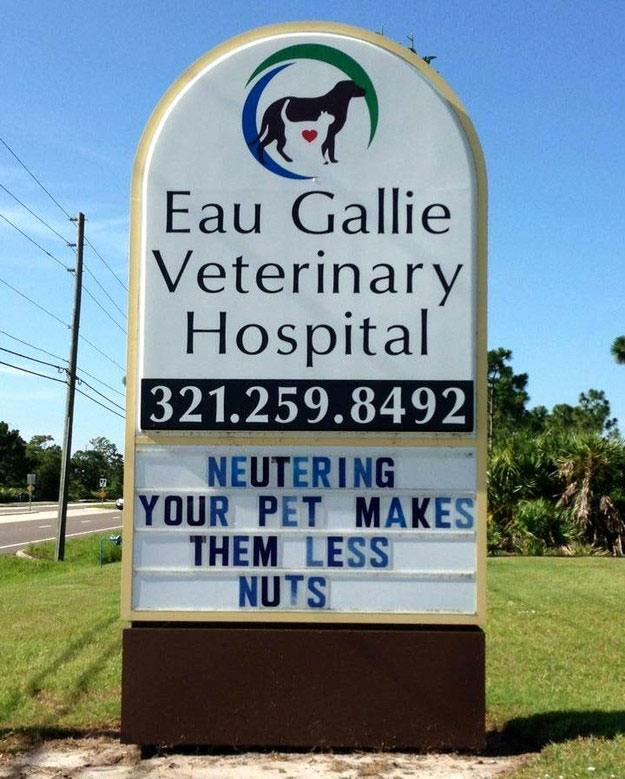 Okay – so maybe you would never use breasts as billboards in your business. 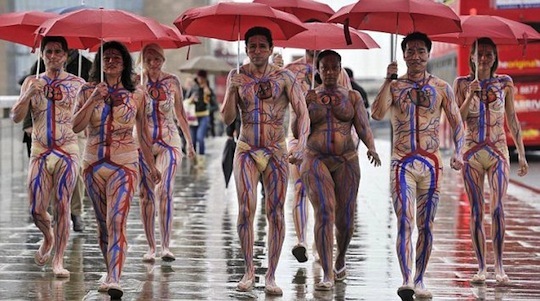 #25 But what about painted bodies to promote blood donations? 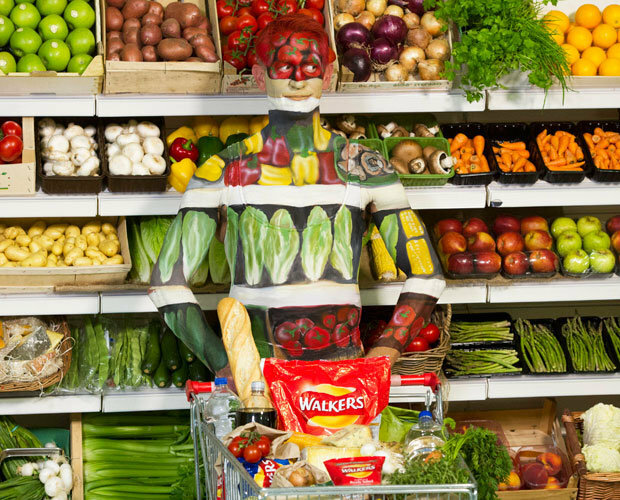 #26 Or painting someone into a background as part of a campaign for crackers? #27 Or leg tattoos as entry tickets? #28 And there’s even a rumour that some people have put their body advertising space up for sale on eBay. Sounds like an opportunity to me! What body parts could you use to paint a pretty picture of your brand promise? So where will you go from here? This article contains 28 (those last 3 were a bonus) examples of outrageously courageous brands who have used Beyond the Obvious touchpoints to create innovative customer touchpoint experiences for their customers. 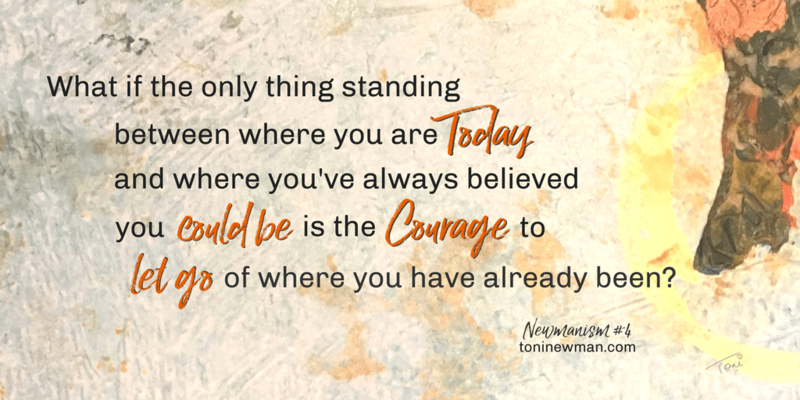 I hope that this list inspires you to be outrageously courageous in your own right. Because in today’s market reality, courage may well be the greatest competitive advantage that your business has.